Richard watches as the home is sealed against air leaks. Jeff reviews his pre-drywall check list. Kevin sees the landscape plan. 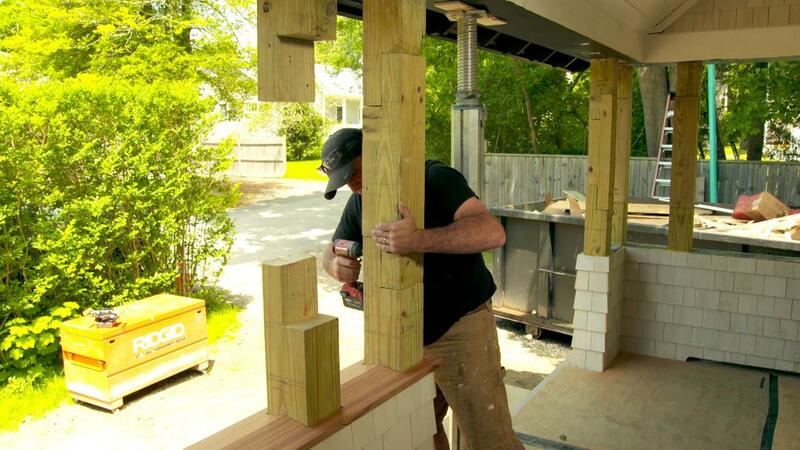 Jeff fabricates pieces for porch columns and rails. Tommy puts on shingles as the last layer of the exterior wall system.